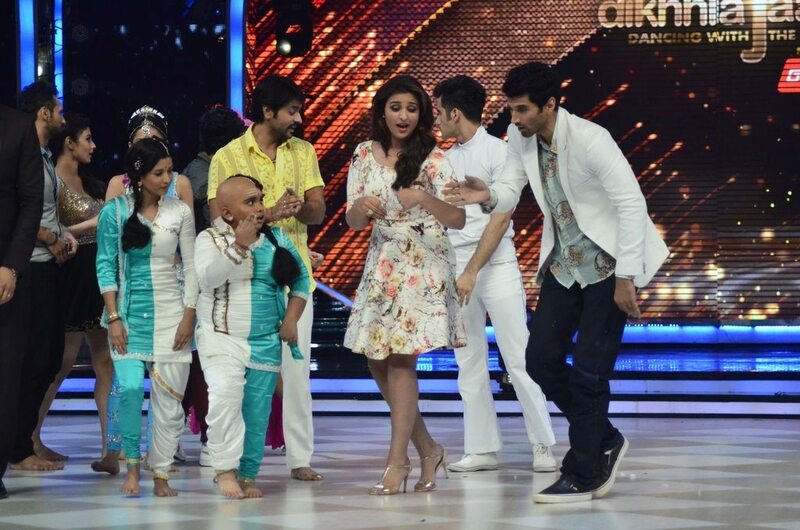 Daawat-E-Ishq lead pair Parineeti Chopra and Aditya Roy Kapur enthrall audiences on the sets of Jhalak Dikhhla Jaa. 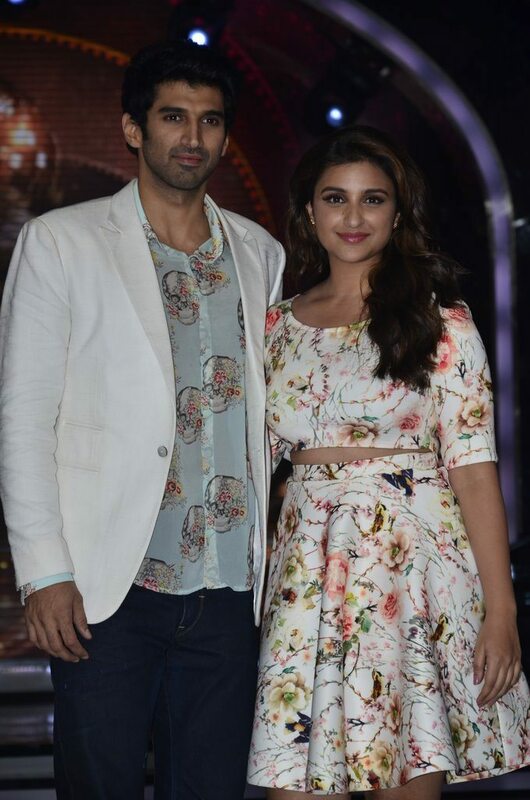 Bollywood actors Parineeti Chopra and Aditya Roy Kapur appeared on the sets of TV dance reality show ‘Jhalak Dikhhla Jaa’ to promote their upcoming movie ‘Daawat-e-Ishq’. 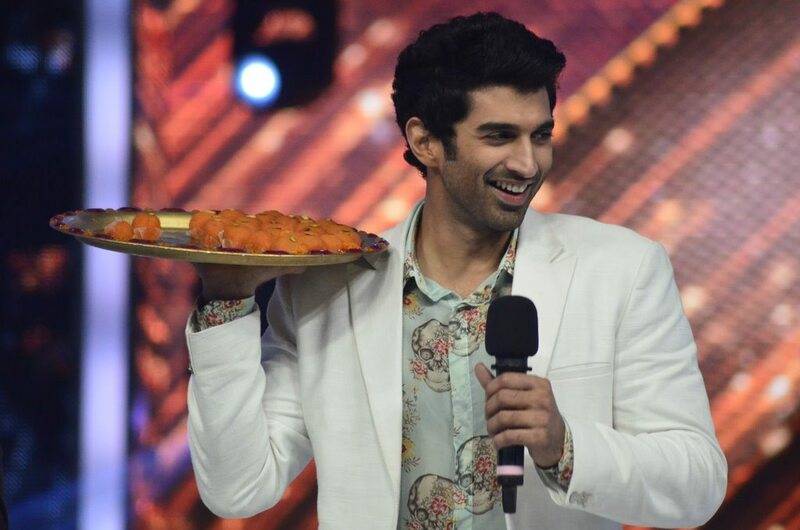 The two made a comical entry onto the sets with a platter of sweets – fitting to the theme of their film which is set against the backdrop of Hyderabad’s sweet marts. 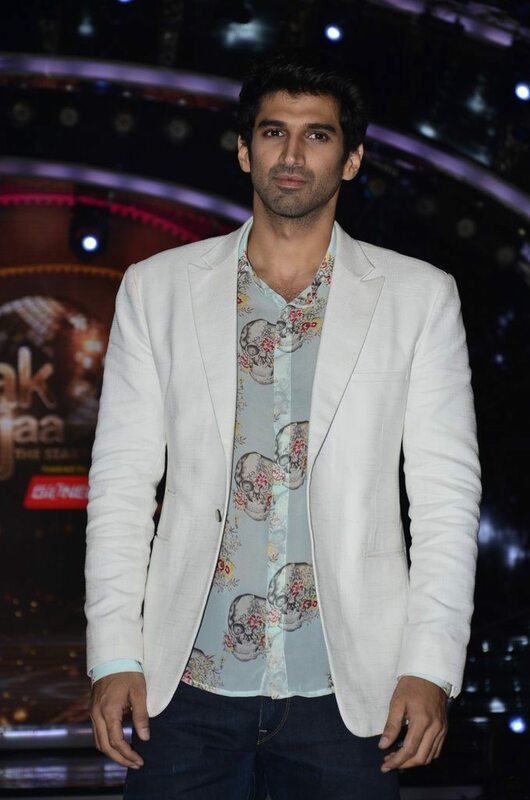 The ‘Ishaqzaade’ actress looked ultra trendy in a floral ensemble, while Aditya too sported a stylish get in up in a pair of denims and a white blazer. 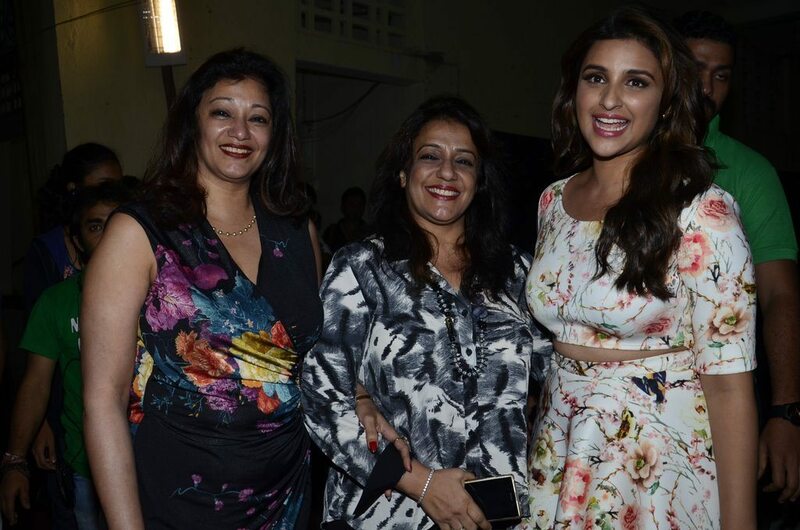 The vivacious Parineeti shed all her inhibitions as she took to the stage with the show’s judge and Bollywood actress Madhuri Dixit. 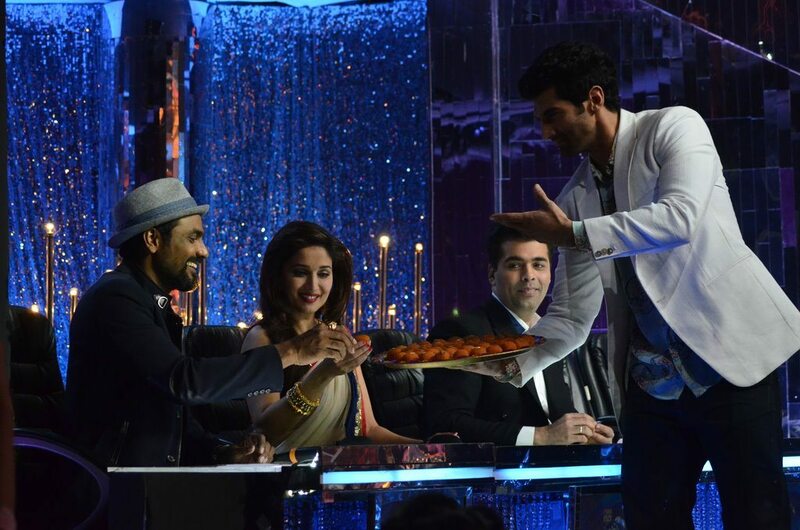 Fellow judges Remo D’Souza and Karan Johar also had a gala time with the stars. 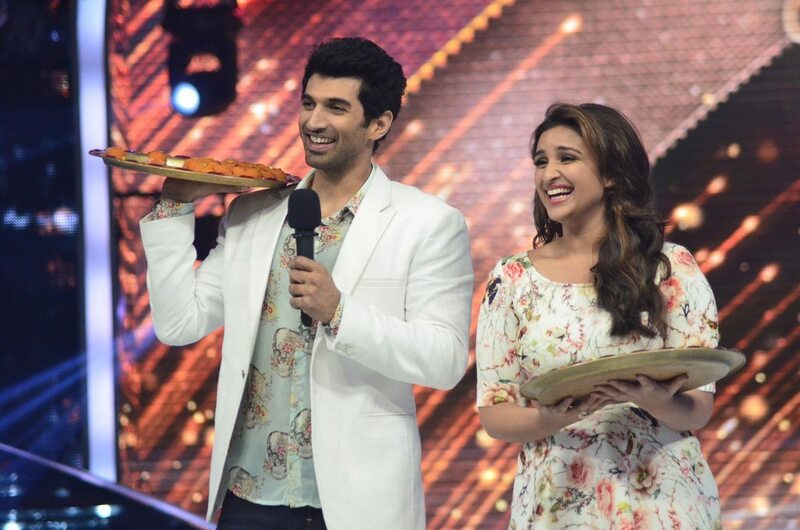 ‘Daawat-e-Ishq’ revolves around the themes of love and food and is directed by Habib Faisal. 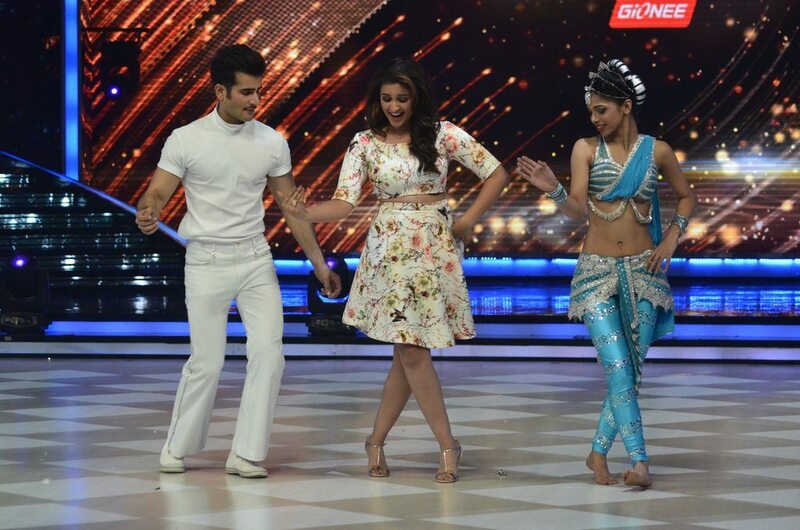 ‘Daawat-e-Ishq’ also stars Anupam Kher and Karan Wahi in supporting roles. 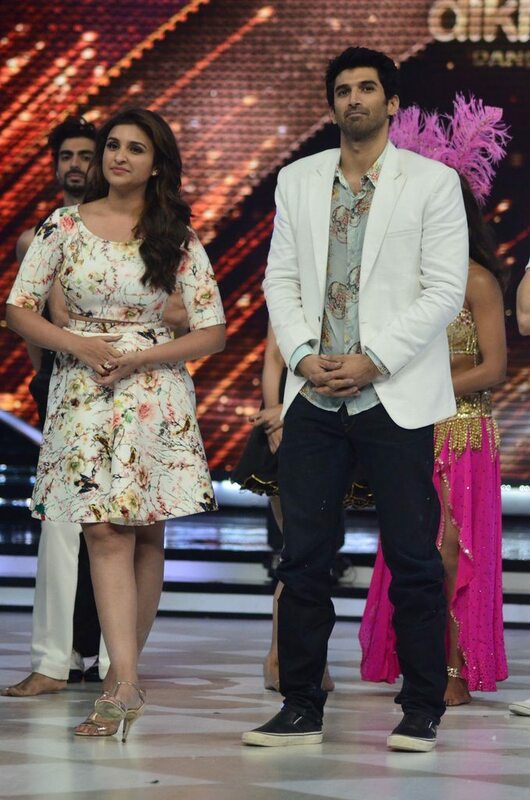 This is the second time Parineeti and Habib Faisal will be working together after ‘Ishaqzaade’ (2012). 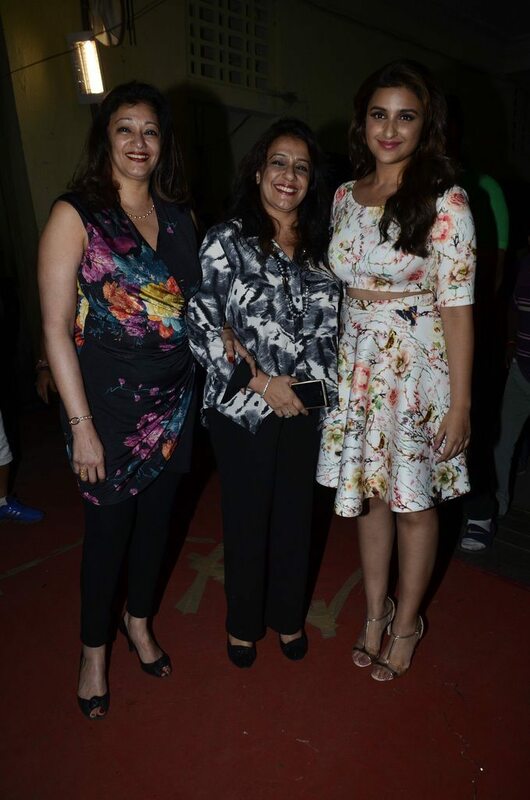 The music for the movie has been composed by duo Sajid-Wajid and the lyrics are penned down by Kausar Munir. The movie is all set to hit the theaters on September 19, 2014.